>> SB 407 and its companion, HB 792, would have repaired the loophole created by a 2015 Texas Supreme Court ruling called Boeing. In that case, the court ruled that businesses and governmental entities may withhold information about their contracts with each other by claiming the information might put them at even a slight competitive disadvantage. In an era of public-private partnerships, this makes it impossible to know how the public is faring in countless arrangements. >> SB 408 and its companion, HB 793, would have addressed a Texas Supreme Court ruling that redefined when private entities supported by public funds have to comply with transparency laws. Because of that ruling, citizens now have no way to know how the hard-earned money they paid in taxes is spent once it’s channeled through a private entity like a chamber of commerce, a local non-profit, or even a for-profit business. >> HB 2710 would have restored citizens’ access to dates of birth in governmental records after a 3rd Court of Appeals ruling put much of that information off limits. Businesses, journalists and even private citizens need access to dates of birth in otherwise public documents to ensure individuals with common names are not confused with each other. >> HB 2670 would have closed a loophole used by some officials to hide public documents on their private electronic devices. The bill would have established a process to compel every official to follow the law. These were not pie-in-the-sky measures that would endanger public-private partnerships or facilitate identity theft. It’s quite the contrary. They were vetted by a diverse set of stakeholders over many months; further, we amended them multiple times to address legitimate concerns. But despite our best efforts, all of these bills ultimately became victim to special interest groups that desire secrecy won out over the rights and needs of the people of Texas. We can and should do better when it comes to an issue as fundamental as government transparency. 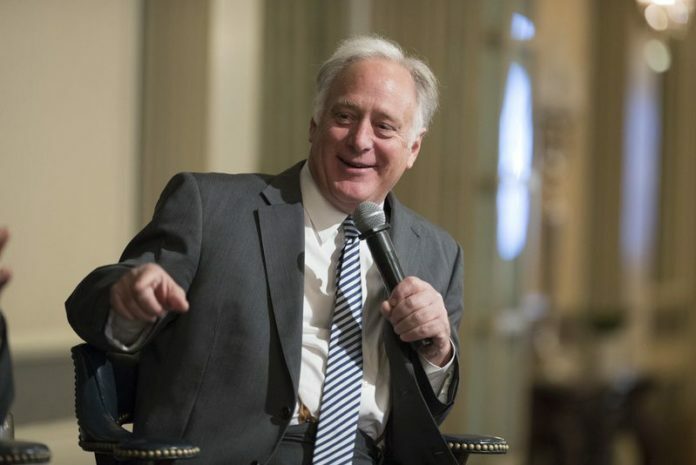 State Sen. Kirk Watson, D-Austin, and state Rep. Todd Hunter, R-Corpus Christi, spearheaded efforts to reform government transparency laws during the recent session of the Texas Legislature.